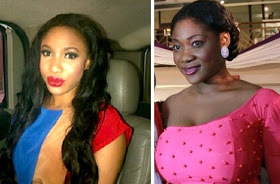 God Pls Don’t Give Me A Husband That Will Send Me To Hustle – Tonto Dikeh Insults Mercy Johnson? Last year, the actress said on twitter that the only actress she respects is Uche Jombo and also said she’s got love for Rita Dominic. But when a fan asked her about Mercy Johnson she said, Fcuk you all.